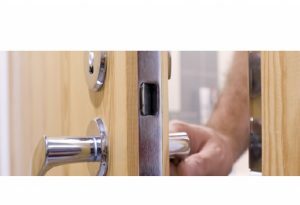 P&R Locksmiths provide a professional installation, door opening, lock repair, fitting and replacement service for all types of doors and windows, including garages, domestic roller-shutters and fire escapes. The Home Office recommends fitting five-lever mortise deadlocks (British Standard BS3621) to all external doors. Many insurance companies require this as a minimum standard. Mortice locks have several lever variations: a 2, 3, 5 or 7 lever mechanism. 5 lever and above can be British Standard or non British Standard. The higher the number of “levers” the more difficult the lock is to “pick” and the more secure it will be, the higher the lever the lock the more key variations there are eliminating duplicate keys. P&R Locksmiths recommend all locks should be upgraded and replaced with 5-lever locks, tested to BS3621, which can be identified by the British Standard Kitemark symbol. This is usually a minimum insurance requirement.